As in the Kuhhandel card game, in Bidder Up!, a.k.a. Kuhhandel: Das Brettspiel you're trading animals with other players and participating in auctions to try to collect valuable sets of critters. 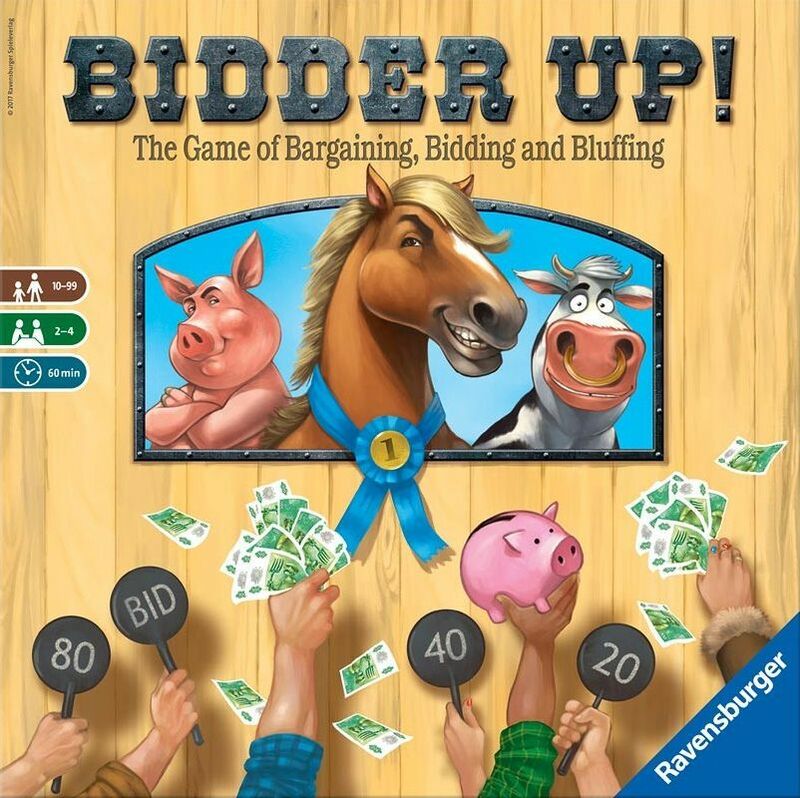 Ten different auctions take place around the game board, and the double-sided board presents players with two ways to play, with one side allowing for market manipulation of the value of the animals themselves.